Clean. You want potential buyers to view a clean house so they can focus on the physical space and not be distracted by any mess. Take the time to deep clean your home when preparing to sell. Clean cobwebs from the ceilings; erase scuffs from trim, wash any pet beds, take out the garbage and close that toilet seat. Remember to keep your storage spaces tidy. Buyers will have interest in the size of the garage, closets, pantry etc. Create Curb Appeal. First impressions are very important. Look at the exterior of your house with fresh eyes and try to see the home for the first time. Make sure your grass is cut, your gardens are neat and weed-free and the windows and siding or brick are clean. If you are selling in the winter, clear the snow from the driveway and walkways. Make sure there are no icy spots for anyone to slip on. Store Personal Belongings. Remove any personal photos, bathroom toiletries, addressed mail etc. from around the house and put them away during your open house. Stow any valuables such as jewelry boxes, expensive antiques, laptops, tablets and any other items you deem valuable. Although a REALTOR® will be present during the open house, it is always important to protect your personal property from any risk of theft. A minimalist house will also make a positive impression. Focus on the Kitchen. The kitchen is the heart of the home and it is an important area to concentrate on. Remove clutter and small appliances from countertops so the kitchen appears larger. You want Buyers to picture themselves cooking in your kitchen and a spotless kitchen is invaluable. Impress with Scents. Let the outside in! If the season permits, open your windows and let some fresh air flow through your home. Cleaning should leave it smelling great, but you may wish to make an extra effort with fresh flowers or fragrance diffusers that can create a pleasant smell that may improve the first impression of your home. Don’t go overboard with scents however; subtlety is key. Take Care of Pets. It is best to take your pets out of the house when your REALTOR® hosts an open house. Your furry companions may be friendly, but a successful open house will have many people coming and going from your home and pets may escape or become overwhelmed. It is also possible that visitors may have allergies or not love animals like you do. Pets may also act as a distraction to potential buyers. Plan ahead and everyone will be happy. Make Yourself Scarce. 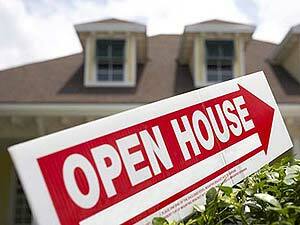 An open house will typically be for one or two hours. Make plans to be out of the house during this time. This allows potential buyers to have the time to browse and ask your REALTOR® questions openly. Your REALTOR® knows your house better than any other REALTOR® so this time is valuable! A successful Open House is never a guarantee. Your REALTOR® will advertise, promote and tell the world about it, but there are never any guarantees that the right buyer will come to the Open House. On the other hand, your Buyer may be driving by that day, stop in for a viewing and submit an offer. Always be prepared. It only takes one Buyer to buy your home! Saugeen Team FAQ Series: What Will Closing Costs Be? Terina Wnuk, Sales Representative with RE/MAX Land Exchange Ltd explains what real estate closing costs are and what you might expect to pay.